Both ‘folk music’ and ‘traditional music’ have very particular meanings for different constituencies of people (one of the reasons we retain both at Newcastle University for our undergraduate degree BA in Folk and Traditional Music). As a simple illustration of this, consider for example that in North America ‘folk music’ is a much wider genre category than in the UK, and within the UK, the term ‘folk music’ is more prevalent in England and ‘traditional music’ more prevalent in Scotland. However, the question is really, what do these terms actually describe? There has been quite a diverse discussion of this topic in Anglo-American scholarship on traditional/folk music over the years (not to mention in ethnomusicology more widely) but the topic still awaits really in depth analysis that could establish at least a useful scholarly definition. 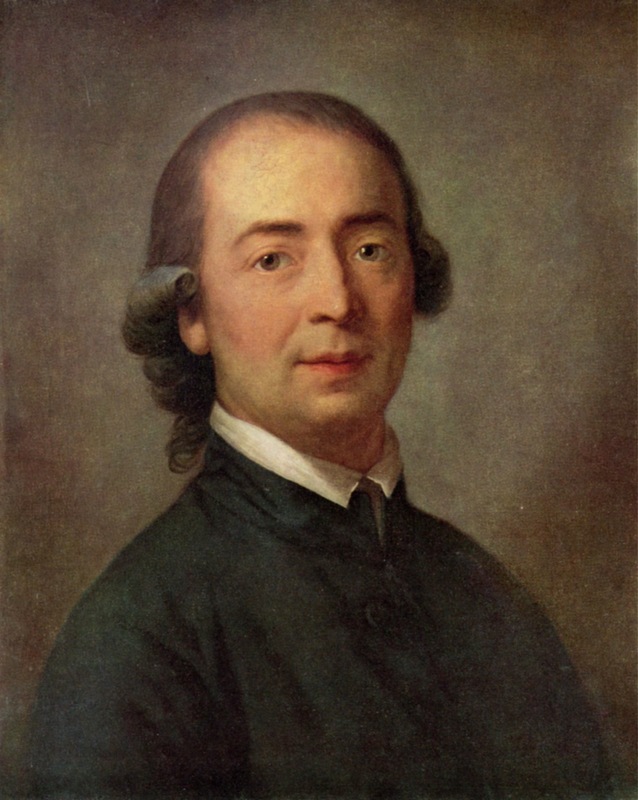 Often used as the starting point, Johann Gottfried Herder (1744-1803) defined ‘folk music’ directly from a social setting, his ‘peasants’ of the 18th century. The brothers Grimm also followed this enlightenment fashion of finding the other within. For them folk music was the music of the illiterate, rural, peasantry within literate society (not ‘primitive’ peoples–the Other without). This was crucial to Herder’s development of and consolidation of the idea of the spirit of the nation (the ‘nationalbildung’) which he felt could be found in its purest form amongst the oral songs and poetry of the ‘peasants’ in the countryside. Cecil Sharp (1859-1924) in English Folk-Song: Some Conclusions (1907) defined ‘folk music’ as ‘The Song Created by the Common People’, before going on to give his more detailed and renowned definition which has been the basis for many subsequent attempts at definition. Again, he places ‘folk music’ in a rural, ideally illiterate and older constituency, which for him was the guarantor of authenticity. Famously, the 1955 definition by the International Folk Music Council in Sao Paolo was: ‘Folk music is music that has been submitted to the process of oral transmission. It is the product of evolution and is dependent on the circum-stances of continuity, variation and selection’. However, they changed their name in 1981 to the ‘International Council for Traditional Music’ which signalled an important shift in members’ attitudes towards both ‘folk’ and ‘traditional’ musics. This definition is of course someway out of date when one considers its dependency on the highly evolutionary ideals of Edwardian English Folk music collector Cecil Sharp (it was published by Sharp’s acolyte–Maud Karpeles), and of course the subsequent successful commodification of the Anglo-American (and other) folk revivals and professionalisation of folk musics. Most definitions of ‘Folk Music’ or ‘Folk Song’ in the twentieth century have tended to rely on either nationalism, ethnicity, location, class and function (or combinations of these) to attempt to delimit the boundaries of authenticity in Folk Music; which is the key concept at stake in most definitions of ‘folk music’ and ‘traditional music’. Other key interventions in this topic have come from Henry Glassie, Barry MacDonald, Anne-Dhu MacLucas, Alan Dundes, A L Lloyd, Maud Karpeles, and more recently Richard Middleton, Georgina Boyes (particularly good), Phil Bohlman, Matthew Gelbart (forensically good in the Scottish-German historical context), Simon Keegan-Phipps, George Revill, John Storey etc., with Scottish authors strangely silent on the topic in the twentieth century. The revival in Scotland in the 1950s and 60s really did establish ‘folk music’ as a key concern in Scotland, but also kickstarted the commodification of the musical practices also. We’ve also never effectively dealt with the Nazi legacy and reliance on Herder and the racial nationalism of the older definitions of ‘folk music’–one of the key reasons why this term was rejected by scholars in favour of ‘traditional music’ in the post-war period. Why do we need a definition? One might argue in today’s environment, where there is increasing porosity between ‘folk’, ‘traditional’, ‘acoustic’, ‘singer-songwriter’ and other genres-labels or commercial categories of music, that the definition of what constitutes a type or genre of music is no longer useful or necessary. I don’t support that view. There are many good reasons why we need definitions of traditional music and of folk music, and for each scholarly definition, there will of course be tens of thousands of vernacular ones in the public imagination. However, for me, the key reasons that we require useful working definitions relate most strongly to education and to public funding. If we do not make explicit what traditional music is today, then we provide a means for the erosion of public funding and of educational provision of our cultural heritage. Providing definitions that are clear also facilitates the development of useful local and national resources for accessing and safeguarding ‘traditional music’, and the social contexts in which it thrives in contemporary culture. Beyond these imperatives of course, lies the cultural work and aesthetic discourse in the community about what is, and what isn’t, ‘traditional’. This is crucial to the ongoing negotiation of the values and practices of traditional culture and to the ongoing debate about authenticity. Focusing upon the boundaries of what is, or is not, ‘traditional’ is often the best way to determine what might lie at the canonical centre. But in the end, for the community itself, it is the process of social discourse about ‘tradition’, ‘authenticity’ and what constitutes ‘folk’ itself that is the important process. Authenticity, is very much a social process, not a pre-defined category. Digitalization is making this debate even more interesting. My view is that ‘traditional music’ (as shown at in my definition above) has particular qualities (both sonic and social) that are the result of socio-musical exchange through time and which can be heard and felt in the surface structures of the music. We all have slightly different aural conceptions of these structures, but I would insist that there is a canonical centre which is important in establishing cultural heritage (and for critical cultural discourse). That is why I would continue to advocate for oral tradition both in terms of establishing a definition, and in categorising newly-composed ‘traditional music’. For me, the boundaries can be heard and felt, which is one of the ways in which I establish the authenticity of music. This is really just a couple of starting points for a wider discussion we need to have about this topic, please feel free to comment on this, it would be great to hear other voices.